Jushin Thunder Liger announced last Wednesday at a press conference that he will retire in January. Liger, 54, said he wants to wrestle all over the world until the next Tokyo Dome event and hopes to get on the G1 Supercard event next month at Madison Square Garden. Born Keiichi Yamada, had his debut match in 1984. However, it wasn’t until 1987 when Yamada adopted the popular character he is known for today. Liger was an innovator of the high flying style of wrestling and created the shooting star press. Despite his age, Liger put on a stellar match where he was denied a 12th IWGP jr. heavyweight title in a losing effort to Taiji Ishimori at New Japan’s Anniversary show. During his near 40 year career, Liger captured numerous championships, won many tournaments and match of the year accolades. It’s fitting I was working on this blog amid Liger’s retirement announcement. He’s been one of my favorite wrestlers ever since his WCW debut in 1991. I hope you enjoy my love letter for a moment. I never thought I would see. 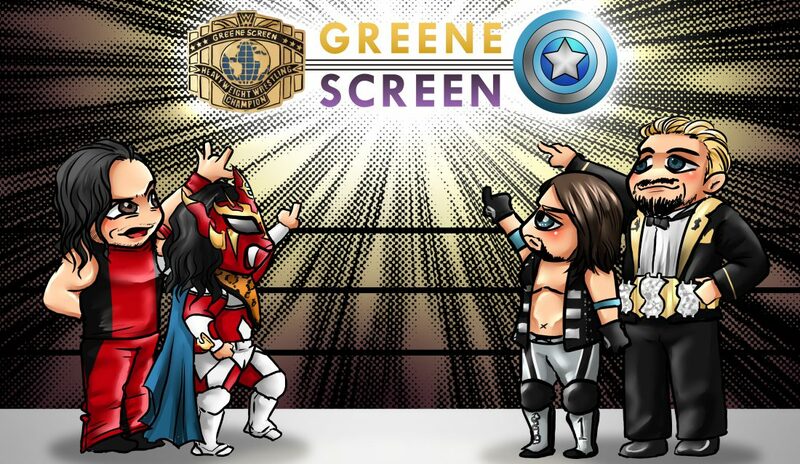 -Jushin “Thunder” Liger vs. Bryan Danielson: Ring of Honor – Weekend of Thunder – Revere, Massachusetts – Greater Boston Indoor Sports Center. May 11, 2004. WWE acquiring WCW in 2001 meant the end of seeing talent from New Japan Pro Wrestling appear in the United States. 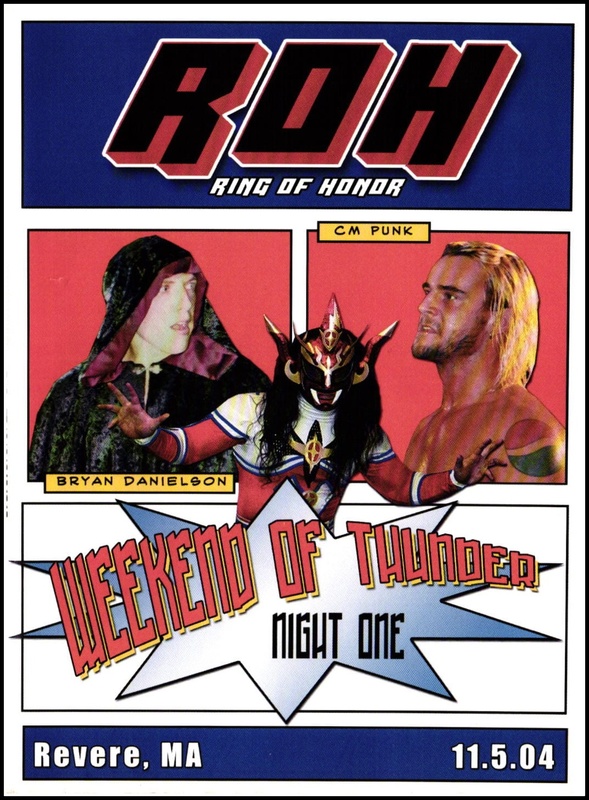 That all changed when ROH unexpectedly announced Jushin “Thunder” Liger was coming back to the U.S. for two nights only. One of those nights was in my home state of Massachusetts. Nothing was going to stop me from seeing this show! For the uninitiated, Yamada Keiichi aka Jushin Liger, revolutionized junior heavyweight wrestling. While known for his death-defying highflying ability, Liger also mixed up his work with mat wrestling and martial arts to make for an exciting all around style. While Liger was tearing it up in Japan, he made is American debut in 1991 for WCW when he feuded with Brian Pillman for the promotion’s light heavyweight championship. Liger appeared spasmodically over the years as fans were entranced by the red-clad anime-inspired character. Third-row seats and the purchase of an authentic Liger action figure was all I needed to enjoy the show. The fans came unglued when the first notes of Liger’s entrance music hit the airwaves. Multicolored streamers cascaded the ring to provide the Japanese legend with a little taste of home. Bryan Danielson (Daniel Bryan) was the perfect opponent for Liger. A five-star match was expected; however, what we got was a five-star show. It was a well-worked competitive match that exhibited how both wrestlers superbly apply their craft. As the match unfolded, things became clear. The goal wasn’t to convince the audience Danielson could win. It was to let Liger shine in all his glory. Every single person in the building paid to see the masked lion/tiger hybrid. Everyone in the building paid to see Jushin Liger. It was a best of compilation unleashed before our very eyes. We held our figurative lighters in the air as Liger performed all of his signature hits. Liger’s surfboard submission got things off to a nice start, and he followed up with a tilt-a-whirl backbreaker. After some time on the defensive, Liger nailed a bald heel Danielson with a thunderous shotei palm strike. Liger would follow up with another shotei in the corner and hit a top rope hurricanrana. The audience popped as Liger unleashed his rolling koppu kick and delivered his patented running Liger bomb for a shocking nearfall. There was only one move left to make. One hit left to play on the set list. Danielson was propped up top, lifted up, and drilled with an avalanche brainbuster to close the show. Not only was it a privilege to see Jushin Liger in the ring, but from an insider perspective, it was nice to see a promotion use a legitimate draw the right way. No shenanigans, no convoluted plot. Liger was the reason why we were all there, and once we got him, Ring of Honor produced a marquee performance. ‹ Becky and Ronda and Charlotte, Oh My!